Google Chrome has been updated to version 5.0.375.70 fixing 11 security issues. Nine of these are rated as a high threat level, while the remaining two are only rated as medium. More details on these threats can be read in the Google Chrome Releases blog. The update is available for all Windows, Mac, and Linux users, and it will be pushed out automatically to these users as usual. New users can download Chrome from the Google Chrome website. The Chrome team have now enabled desktop notifications for the browser, allowing extensions to step out from a simple icon, and provide a notification box to give users more information. Desktop notifications are available as of Chrome 5, and Google’s own Gmail Notifier is one of the first browser extensions to support the new notifications. “When notifications are used from an extension, there are no permission prompts or infobar warnings. The experience is seamless – it just works” wrote Chrome Software Engineer, Aaron Boodman. Full details for developers on how to add desktop notifications to their extensions can be found in the documentation. More desktop notification enabled plugins are sure to pop-up in the coming days and weeks. Opera browser speed test video is hilarious! In response to the recent Chrome browser speed test video from Google, which later proved to have be faked, Opera have made their own browser speed test video spoof. An article written by Richard MacManus from ReadWriteWeb suggests that Google Chrome’s battle is with Firefox, and not with Internet Explorer as many think. They base this data on their Google Analytic data that is collected from their website, with users of the site being described as early adopters. ReadWriteWeb data shows a big drop in Firefox users over the last 12 months, from 54% to 39%, while Chrome has enjoyed a jump from 7% to 18%, all while Internet Explorer usage has stayed constant at around 25%. These statistics make this theory sound plausible. We can’t vouch for these figures in our own statistics, but it is interesting none the less. Market Share data from Net Applications shows that Firefox is still gaining share slowly, while Chrome is also growing, and Internet Explorer is on a one way slop down. This would suggest that Firefox may be taking users away from Internet Explorer, but that older and more experienced Firefox users are taking the plunge to Google’s Chrome browser. Either way, the entrance of Chrome into the market has surely stirred things up. Statistics over the next few months will be very interesting, with yesterdays release of Chrome for Mac and Linux. Google Chrome 5.0.375.55 has been released to the stable channel, available for Windows, Mac, and Linux. The release marks the first stable version of the Chrome browser for the Mac and Linux platforms. The release also closes 6 security holes, 2 of which were rated as high, and 4 rated as medium. 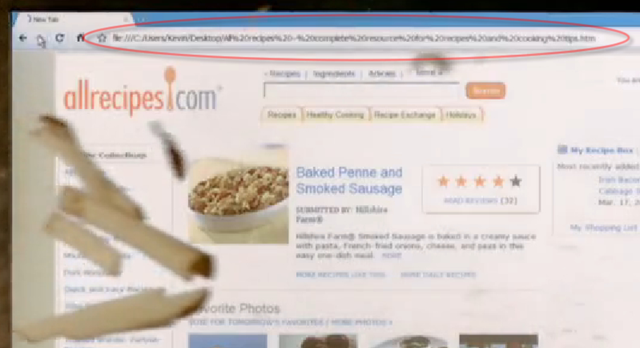 The new browser also fixes several stability bugs, which would cause the browser to crash. Adobe Flash Player is not bundled into the browser as expected, but Google promises it will be back once Adobe Flash Player 10.1 is released. The latest release will be pushed out to existing Chrome users, while new users can take the plunge and download the browser from the Chrome website. The Chromium team has sure been working hard, with Google Chrome 6.0.401.1 hitting the Dev Channel for Windows, Mac and Linux users. This means Chrome 5 is now feature complete, and will continue to make its way from the Beta Channel to the stable release. 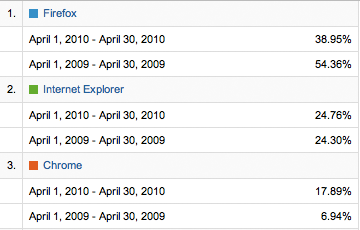 Not much has changed so far, with a list of changes available in the Google Chrome Releases blog. There is however one known issue with this build; hitting enter in some form fields does not submit the form. This bug is expected to be fixed in the next Dev Channel update. Current Chrome Dev Channel users will automatically receive the new update, while new ‘daring’ users can get details on how to get this latest build from the Chromium website. Neowin has discovered that this weeks Google Chrome speed test videos were faked, which was later confirmed by Google. Scepticism came when one attentive Neowin user noticed that during the first potato test, the web page was loaded from the local machine, rather than over the Internet as the video would have you believe. “For the Chrome Browser vs. Potato film, we used a version of the web page allrecipes.com that is accessible when logged in. About four hours into the Potato Gun shoot we decided to use a locally loaded version of the web page to enable more precise synchronization with the potato gun. We finally got the shot we were hoping for after 51 takes” responded Google. Google did note however that the Sound vs Chrome video was filmed for real. According to Google the aim of the video was to show the true rendering speed of the Chrome browser, which involved removing as many variables as possible to get an accurate result. Google has pushed out a new version of Chrome 5 to beta testers which is between 30% and 35% faster than previous beta releases in the V8 and SunSpider benchmark tests. Early results suggest that Google Chrome 5 beta is now faster than Opera 10.5x, taking back the fastest browser crown. Other new features in Google Chrome 5.0.375.29 include HTML5 Features; Geolocation, App Cache, web sockets, file drag-and-drop along with Integrated Flash Player Plugin and Preferences synchronisation. Along with the release, the Chrome team have created a video to show you just how fast the browser is, in a very creative and entertaining way. Google Chrome 5 beta can be downloaded for Windows, Mac and Linux. A video of the showing the making of the Google Chrome Speed Test video can be seen after the break. Google Chrome 4.1.249.1064 has been released to the stable channel for Windows users. Three security holes have also been closed, all of which were rated as high. A more detailed description of each of these issues can be found in the change log. Windows users will automatically receive the update, while new users can download Chrome from the Google Chrome website. Google has pushed out an update to its Chrome browser, taking its stable version to 4.1.249.1059. The latest release closes seven security holes, 4 of which were rated as high, with the other 3 rated as medium. A full list of security holes that were fixed can be seen in the release notes. The browser will automatically update itself for Windows Chrome users, or can be downloaded from the Chrome website.